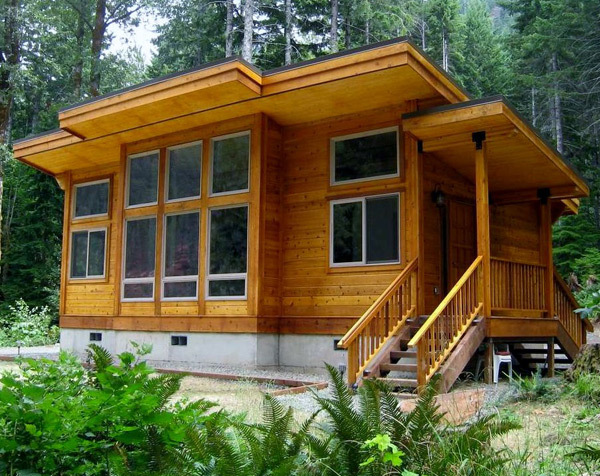 Thank you for your interest in our custom cedar homes! 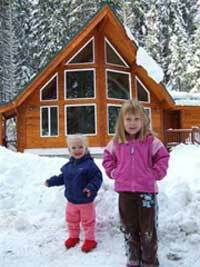 Our cedar homes are unique in the log home industry because we use decorative grade laminated cedar wall timbers. The laminating process eliminates much of the core moisture and allows for fast wall assembly - without the excessive settling that can happen in traditional log homes. Our timber walls require only 1" of space above doors and windows (just like a conventionally-framed home). 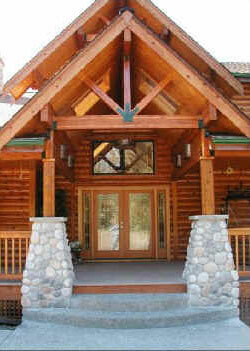 A handcrafted log home can require anywhere from 6-8" of space above doors and windows - to allow for settling. Our construction system requires no adjustments for seasonal expansion and contraction. With our laminated wood wall system, our customers enjoy all the beauty of natural wood without the hassles! You can see construction photos of this home in our "Under Construction" gallery, and more beautiful photos of this home and other in our Interior and Exterior Galleries. For more information about project managing your own home or cabin, we have "Expert Advice" to help you do just that. One of those articles features interviews and tips from three women who successfully project managed the construction of their own cedar homes. This home is our one bedroom / one bath Horizon View 600. It’s part of our new contemporary cedar home series ranging in sizes from 416 to 2,900 sf. 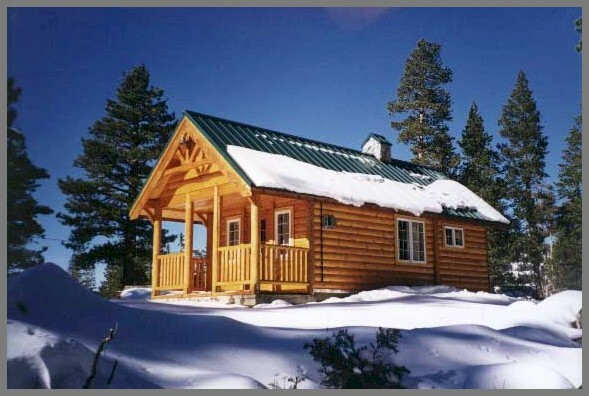 Whether you’re looking for a small cabin, guest home or luxury retreat, we have floor plans for beautiful cedar homes or cabins to suit your needs. You can even customize your floor plan to make it exactly the way you want. It’s finally time to build your dream home. Ridge-top views from every room! 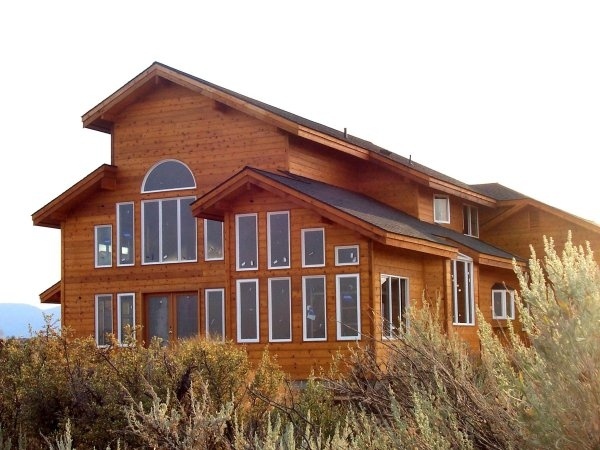 This modified "Innovations" style cedar home is now completed near Yakima, WA. This 3,070 sf design is available in 4 other sizes ranging from 2,155 sf up to 3,620 sf. View other Innovations floor plans in our floor plan gallery. Cedar Homes of Washington Inc. is an authorized distributor for Pan Abode Cedar Homes Inc.